Huawei has today announced two new wearable devices, the B2 and N1, just ahead of the start of Mobile World Congress in Barcelona. The B2 is the successor to last year’s B1 activity tracker, and comes with upgraded functionality and 6-axis tracking. Where the original only let you track calories and steps, the B2 will recognize the type of activity (walking, running etc.) and will now track sleep. It can also pair with more than one device at a time, and is water and dust-resistant, depending on which model you choose – the plastic strap version is IP57 rated, whereas the leather version is IP54 rated. As with the first, the main body of the wrist-worn device can be detached and used as a regular Bluetooth (4.1) in-ear headset. There’s also now a standard microUSB port for charging. Huawei said that the B2 is good for 5 days of use between charges on your wrist, or 12 days on standby. If you’re using it as a Bluetooth speaker, the company said you should get around 7 hours of call time. 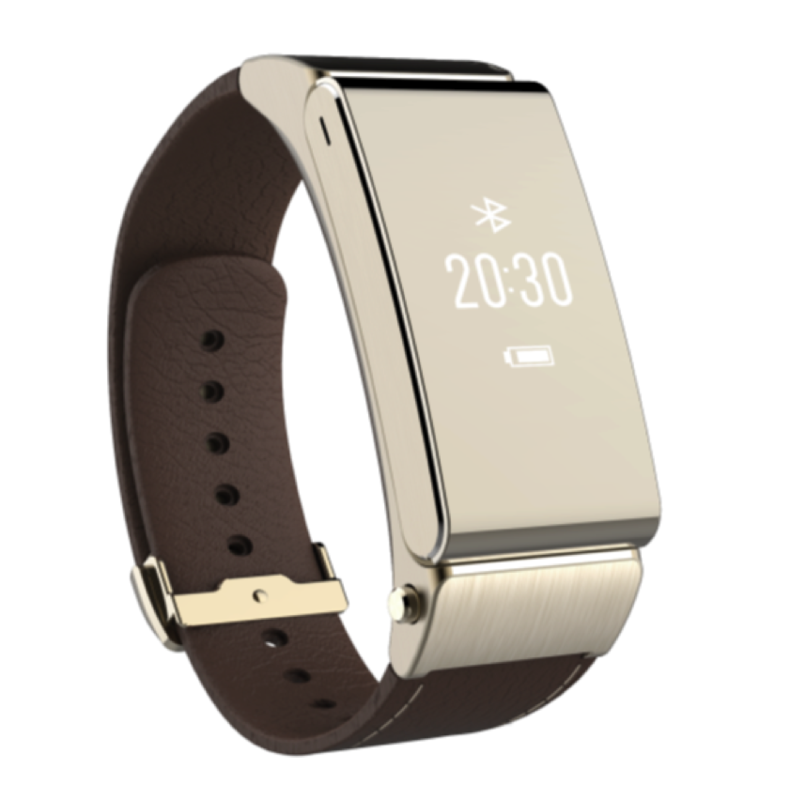 Activity is tracked via the TalkBand app – available for Android and iOS devices – and the band itself will be available in black, silver and gold from launch. Specific pricing wasn’t divulged, but TNW was told that it will cost between €169 and €199 (for the version that comes with 2 different straps. It’ll be available in 28 countries from the end of April. The N1 is a slightly more unusual approach to the activity and sports tracking market. Rather than wrist worn, the N1 is essentially a set of earbuds that clip together using magnets, but one that also provides additional activity tracking functionality. While it’s aimed at the most active users – ie. people who are likely to want a set of earbuds that track activity – it doesn’t have the six-axis tracking of the B2. There is, however, an accelerometer, so you can do basic movement (steps) tracking. The N1 is IP54 rated, so mostly dust-protected and able to withstand splashes of water, and has 4GB of storage on board for music tracks, which can either be sideloaded or synced via the app. Huawei said that the N1’s 67mAh battery would keep it running for 3 days, or provide around 5 hours call time. 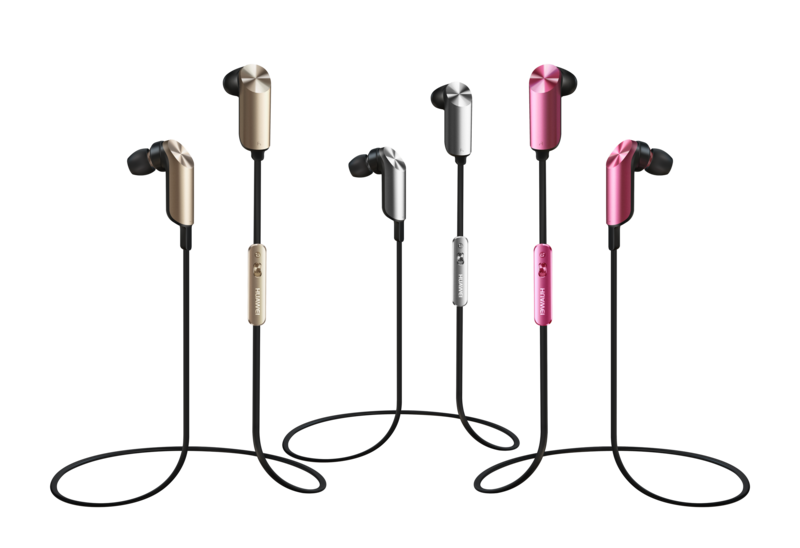 The N1 will be available in gold, metallic grey and pink. Pricing and availability hasn’t yet been confirmed. Read next: What stops your apps from becoming financially successful?